We provide the opportunity to relax in the modern and comfortably furnished hotel wellness for both in-house and external guests. Opening hours of the swimming pool are from 11:00 to 21:00 and wellness operates from 18:00 to 21:00. Opening hours may be changed due to maintenance, so please make a reservation in advance at : rezervacie@hotelkristina.sk or by telephone. By staying in the pool with counter current you can release stress and tension and also eliminate muscle fatigue. Swimming as exercise is essential for more complexmovement skills. It is one of the few sports that has almost no restrictions on age, health and performance. Jacuzzi is a comprehensive therapy for physical and mental part of the human body. The optimal water setting washes away stress, reduces and relieves tension in muscles. Stay in the jacuzzi before bedtime is a great way to prepare for the night’s rest. 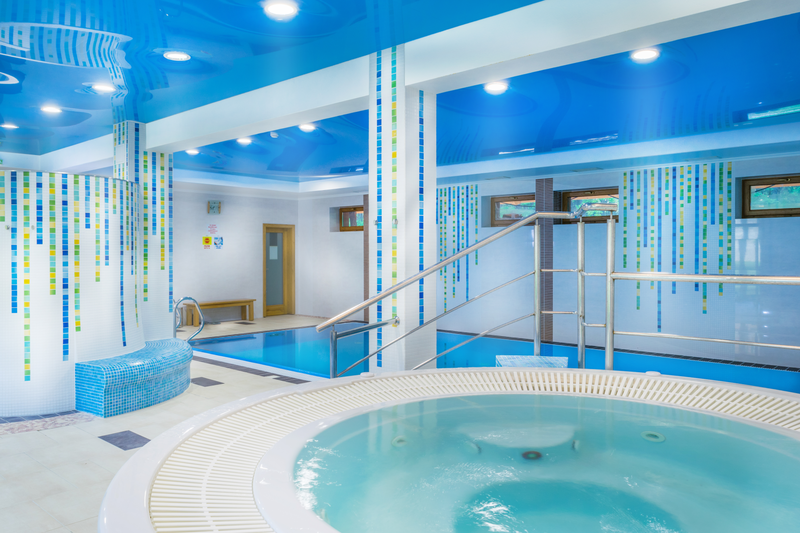 Jacuzzi is a suitable environment for asthmatics and all who suffer from respiratory problems. The water in jacuzzi floats and relax your body.